To set up my baby registry, I gathered lists from friends and friends of friends, cross-referenced, read reviews, and whittled down, coming up with the perfect list. Alas, we did not use half the things we got. We did not have a spitty baby, so those burp cloths we NEEDED are in a drawer. We had a huge baby, so the AMAZING wrap-type baby carrier = useless. And yet, I cannot resist making my own list of what got us through the sleeplessness, the crying, and the fun. 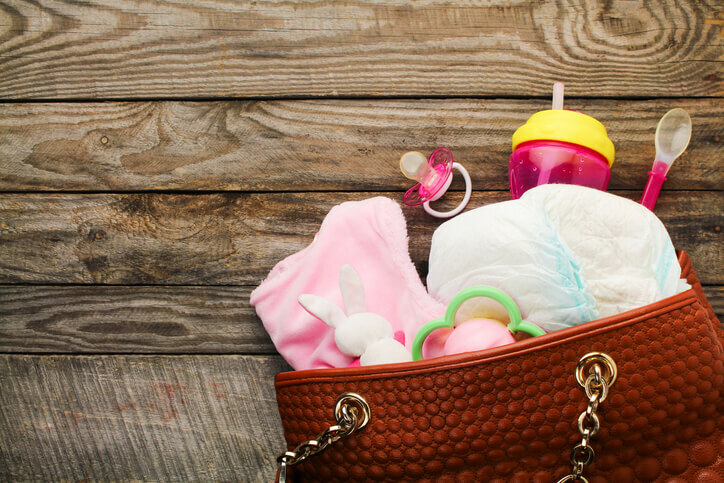 If you are expecting, my advice: Get the essentials until you know your kid. Then invest more. Here is what we loved, from car seat to carrier to swaddle and more. This was a hand-me-down we knew had never been in an accident, so despite some caked-on crumbs at the base, it was a major score. It ranks high in safety and ease-of-use tests. Though we (read: DH) struggled to get the base hooked into our old-school car, since then it's a breeze, snapping in, snapping out, and being a cozy spot for our little dude, ever since we first put his newborn self into it. We had a souped up noise machine that offered 31 flavors of soothing waterfalls, streams, cafés, and such. But baby boy, not so into it. At the end of one particularly rough day of non-stop crying, my man came home to me and baby sobbing while ocean sounds blared into the hallway. Not so effective. But the basic fan? A winner in the soothing department. Though sometimes I find this tome a tad irritating—mom's needs often rank 10 stories below baby's needs in strict attachment parenting fashion—mostly this is an incredible resource. It answers tons of "is this normal?" questions and offers sound, non-alarmist advice on illness, development, and more. Ok, this thing is EXPENSIVE (we cobbled together gift cards, but I'm guessing Craigslist is flooded with these). But since we already owned the pastel rocker, my home-furnishings professional husband ixnayed all things jungle print. And mama friends for real and online bowed down to the bouncer. For months it was the only way I could get baby boy to nap. I'd just bounce it with my foot and sing every song ever and then some. It's also a choice place to plop him when I want to shower—pop it on the bathroom floor and voila. We added the toy bar (a present) to sweeten the distraction, and it works. Though I registered for a gender-neutral Skip Hop black diaper bag, we got this one as an off-registry gift (so risky!) and LOVE. The Skip Hop must be for people who have very small babies who go through a wipe per poo and one (tiny) outfit a day. The Vera is roomy enough for a weekend away and flings over the back of the stroller for a lighter day stroll. And turns out, I like a pretty diaper bag. And ours is in colors my husband isn't embarrassed to schlep (read: not pink). All us pumping ladies can thank Obamacare for mandating that insurance companies HAVE to pay for a breast pump. Though pumping itself is no dream, and pumps overall need a design revamp from Apple or Dyson, for months this thing has meant I can leave my work-at-home job for a meeting or a pedicure or lunch out. I'm not listing a particular brand because each insurance covers different ones, but you want: electric, double pump, and to search reviews for efficiency and quietness. Medela and Ameda make nice ones. I knew bupkis (nada!) about baby clothes before mama-hood. It was all a sea of cute, vague things. But then as I needed it, things came into focus. Kimono tops for newborns = good (skips the over-the-head torture while letting the belly button stump be free). And then there was the footed onesie. Imagine if you had an outfit that required no shirt, no pants, no socks, no sweater—just snap or zip and done! Yeah, a dress, but better. My fave brands are Carters and Baby Gap. As we awkwardly burritoed our boy like the nurses showed us (but not at all like the nurses' showed us! ), our kicky, big boy would quickly break free. One arm at first, then he'd use that to houdini himself out. "He just hates the swaddle," we said, resignedly. But he'd still smack himself in the head and wake up screaming. Enter: the aptly named Miracle Blanket. It's cloth origami beautifully engineered--and squirm-proof. Easy-peasy. A savior. Activity gyms struck me as sort of silly until I had a 4-month-old I didn't know what to do with. Then I got him this genius gym. This one is non-toxic (check the label that yours is not compliant with California Technical Bulletin 117—that means it's been treated with potentially hazardous flame retardants) and chock full of cute, fun things to hit, squeak, and stare at. Which buys you time to pee, or text. Love it.